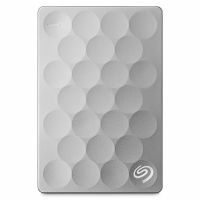 STEH2000300 Transfer rates up to 220 MB/s, high-quality, on-the-go storage enhanced by a durable design and exceptional reliability. To Recieve updates and possible rewards for Seagate Ultra Slim 2TB (Platinum) please sign in. To Recieve updates and possible rewards for External Hard Drive please sign in.